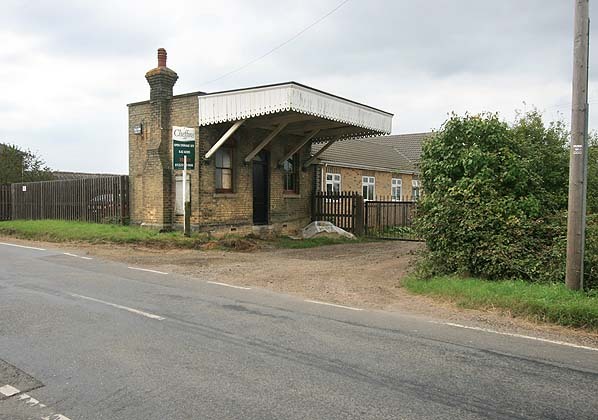 Present state: The east end of the station building which includes the short platform canopy still stands. 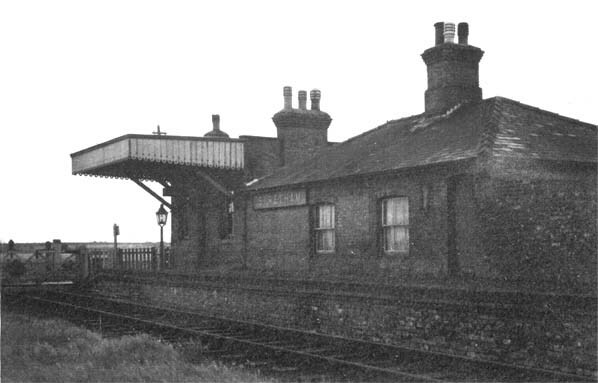 The other station buildings and the platform have been demolished. Notes: The single platform at Stretham was sited on the up (south) side of the line. Station buildings included a station master's house, booking office, waiting room, lamp room and toilets. There was a goods loop on the up side west of the station serving a cattle pen and coal yard. Refuge sidings at each end of the loop were used for loading sugar beet. There was a signal box on the down side of the line opposite the goods yard. The station was 1 1/2 miles from the village it served, the only other building in the vicinity was the Railway Tavern whose owner was also the local coal merchant. Although the station closed in 1931 it was later used by fruit pickers and two annual passengers excursions, one to Hunstanton and the other to Great Yarmouth, these ran until 1958. 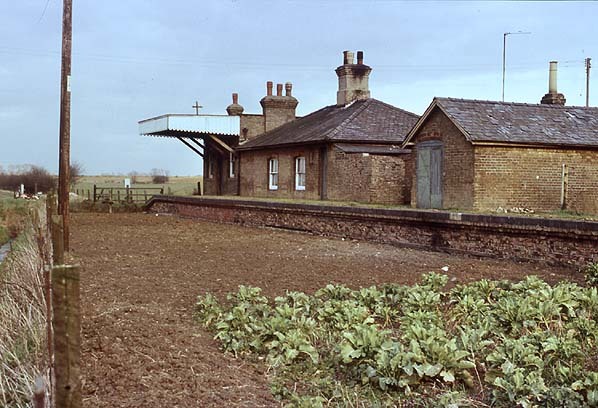 The station was complete until at least 2001 but a new house has now been built on the site and most of the station buildings and the platform were demolished to make way for the house. 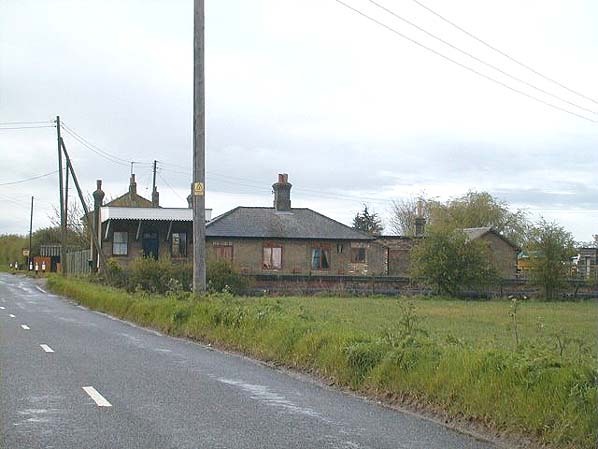 Stretham Station in September 2007 - only this remnant of the station building now survives.